weeks once I return home and get back into full internet range. First off let me start by saying…. 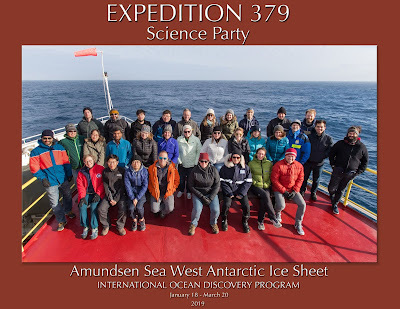 I am writing this Year-in-Review post while aboard a scientific research vessel (The JOIDES Resolution) headed to the Amundsen Sea off of the coast of Antarctica. This is currently my 8th deployment to the Antarctic (9th if you count the one year I did a double deployment). 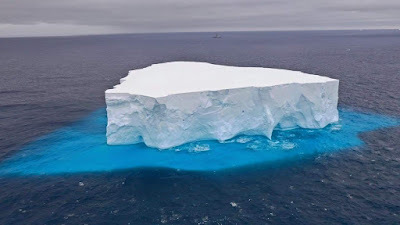 My internet connection is a very unreliable one that was not meant to function at such high latitudes and low satellite angles. So…I will not be able to link back to previous posts as usual until I get back to dry land in Chilé. I found it very difficult looking back on 2018, trying to pick apart the moments I felt were most memorable or transformative. 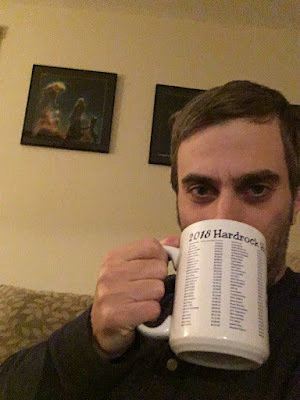 Sure, I had bigger moments like with my running at Boston, Hardrock, and Spartathlon, but I also have just as poignant memories hidden within the little moments I experienced over the year. That silly joke that I couldn't stop laughing at while on a camper van road trip through Colorado, or the rainy bike ride around Martha's Vineyard with C. Perhaps it's a sign that while I do still relish in the adventure, that I have somehow gained enough wisdom over the years to know that adventures can often be found where you least expect them. Hmm...I'm starting to sound like a Hallmark card now. Maybe it is time to just recap my year and not get so melodramatic or try to wax philosophical. Although....now that I think of it, Philosophy was my minor in college. For that matter, technically I am a "Doctor of Philosophy". Well, at least according to my degree anyway. On to the year in review. Due to a combination of some good fortune, and good timing, I managed to find myself kicking off 2018 in one of my favorite places: Colorado. 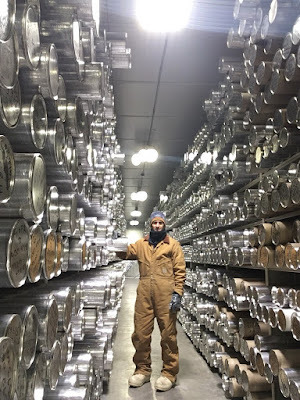 A few months prior, I had arranged to work with some colleagues at the National Ice Core Laboratory outside of Denver. This meant I’d get to spend a week in the Lakewood/Golden area in the heart of winter during the first week of January. 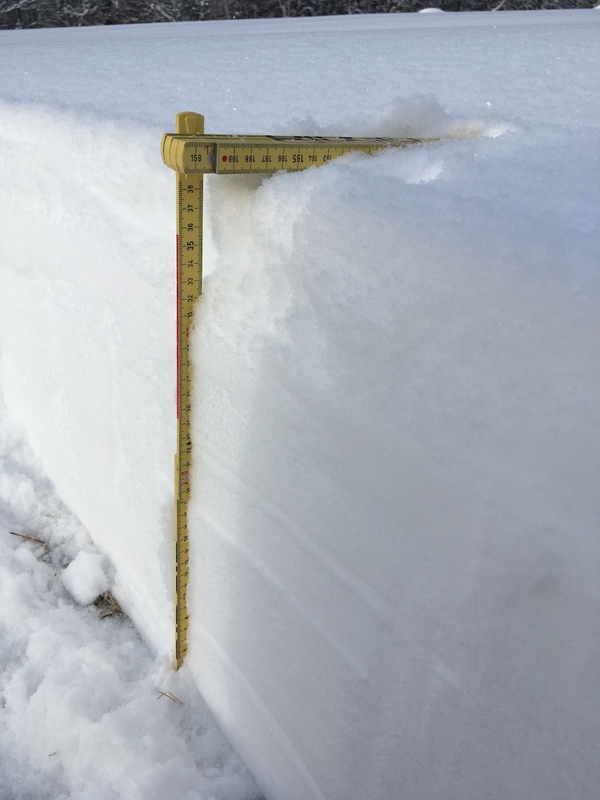 For all the time that I have spent in Colorado over the past 10 years, I had not yet experienced a true Winter there….so this would be a completely new version of Colorado for me. Before leaving in December, and rather last minute, I had an interesting thought that snuck its way into my mind. 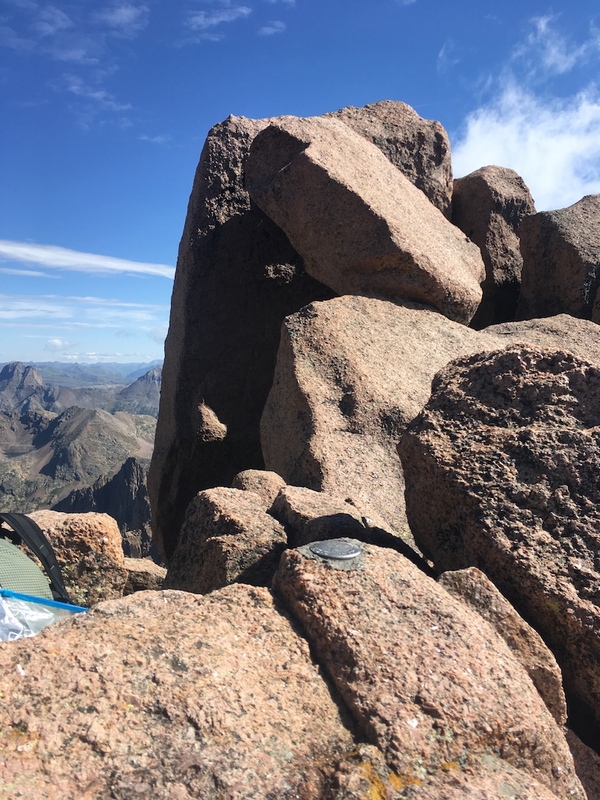 I had heard from a fellow hiker at some point the previous summer, that she was able to get permission to hike Culebra Peak in winter, by simply paying the standard fee and then just declaring what weekend she wanted to go. The main problem with climbing Culebra, aside from the aformentioned fee, is that it is the only 14er peak on privately owned land. In the Summer, the ranch that owns that land only gives out a small number of permits to climbers, making them almost impossible to secure. They almost always tend to sell out months in advance. 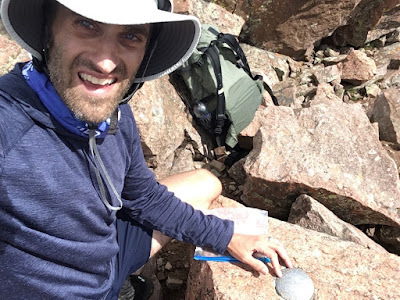 This of course can be a real problem for anyone trying to make a true go at hiking all 58 peaks (especially if you don’t live in Colorado). Apparently in the Winter though, the ranch will let people climb on a more unofficial first-come basis (as it’s generally only a handful of total people). I thought to myself, this may be my best chance at ever honestly doing Culebra, a peak I would need if I were to ever finish all of the 14ers. So…I figured it can’t hurt to ask. I emailed the ranch and waited for a response. After about two weeks with no response, I figured it wasn’t happening. But then, the day before heading to Colorado, I got an email from the Ranch telling me that I was approved to go if I paid the fee. 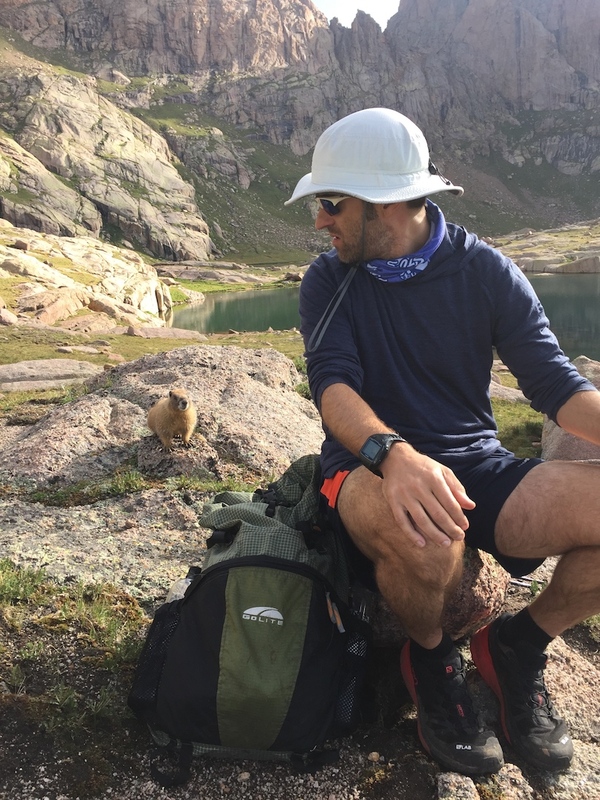 Now, there are many in the hiking community, particularly in Colorado, that have strong opinions about paying to hike Culebra. For me, I just decided it was worth it to make the climb. Literally hours before leaving my apartment, I got the final approval for my climb just in time to grab some winter hiking gear and my helmet. This would be my very first 14er in winter conditions. I was nervous despite hearing initial reports from the Ranch hand that the snow was minimal. 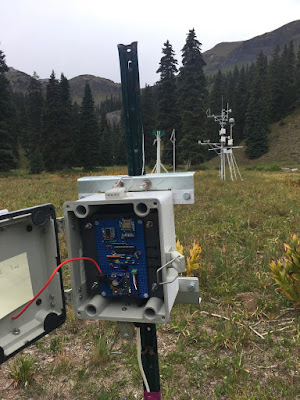 It helps that Culebra is quite far south in the Sangre de Cristo rangee, and that the Winter of 2017/18 had been a particularly mild one. Once actually on the mountain, my experience was one of awe and wonder. 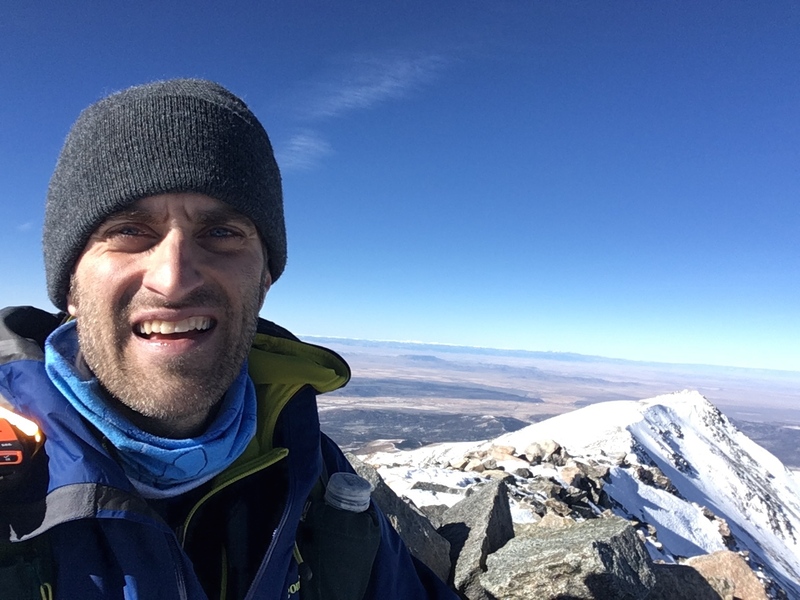 It was an incredibly memorable climb for a whole slew of reasons…mostly positive (although there was the small issue of me forgetting my sunglasses). I wrote a full post about my hike and summit of Culebra..including several pictures. 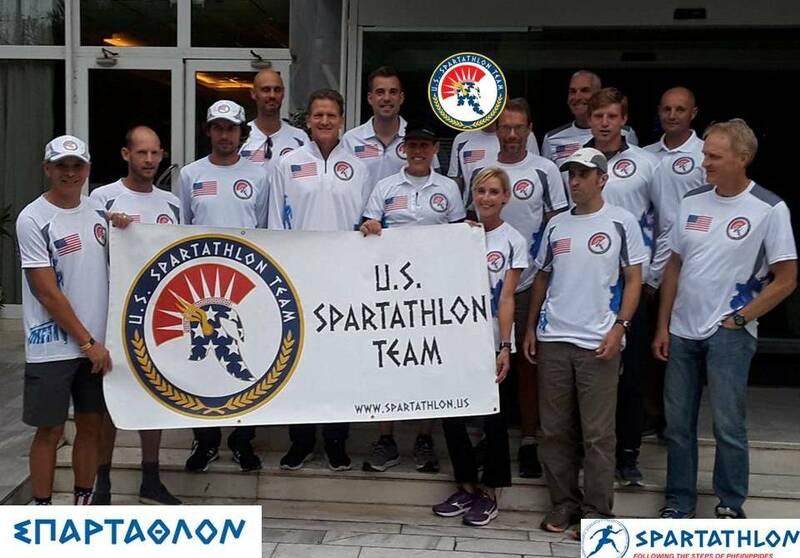 Shortly after my return from Colorado in late January, I decided to apply to the well-known Spartathlon footrace in Greece. I had previously applied to this event, but had only ever made the wait list. 2018 was the last year that my qualifier would count, so I figured I had one last chance to throw my name in the hat. As February rolled in, I received the email informing me that I had in fact been accepted to run in September, adding to what I was already expecting to be a fantastic year of racing with my Boston Marathon entry in April…and more importantly, my Hardrock entry in July. It would appear that 2018 was going to be one for the ages…. Notice that I was officially registered..
My first real ultra of the 2018 season came in the form of a rather ridiculous undertaking. 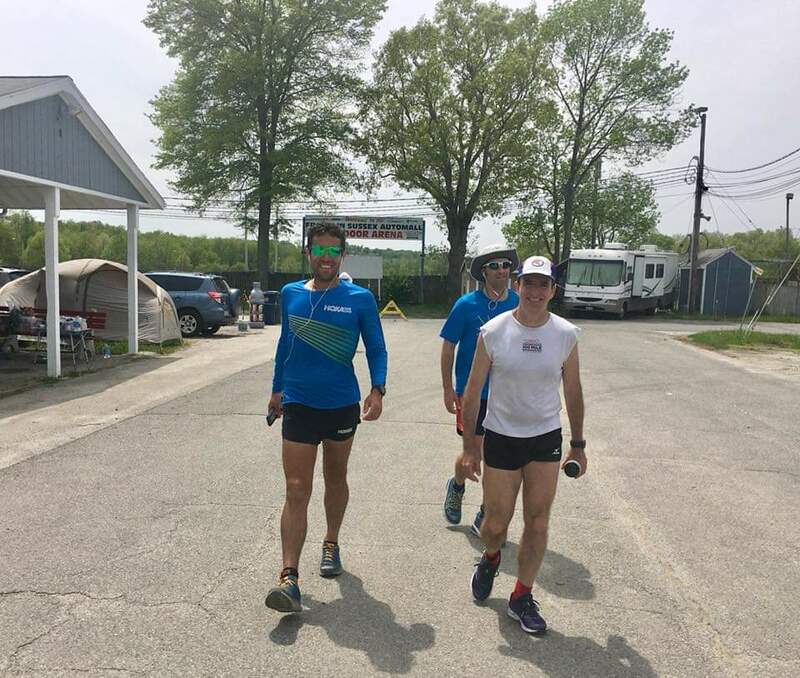 I had agreed to join my friend and fellow barker John Kelly for a run at the infamous Wild Oak Trail 100 (also affectionately known as the “TWOT100”). This race is the real deal. It was dreamt up many years ago by another former Barker named Dennis Herr and was designed to be ridiculously difficult and/or unpleasant. For the most part, this event is very low-key and “under the radar”, and there is no official registration page or fee. You simply have to ask to run it and show up on race day. Generally there are never more than a handful of brave souls attempting the 100 mile course….which is comprised of 4 brutal loops. 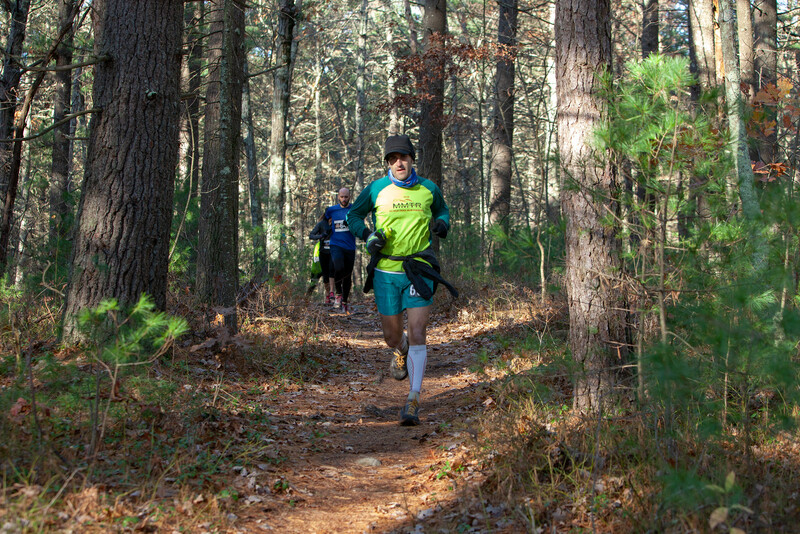 The course is actually about 112 miles long, making each loop about 28 miles total miles (and 7500 ft of gain). Needless to say, I had a rather interesting experience making my around the loops. 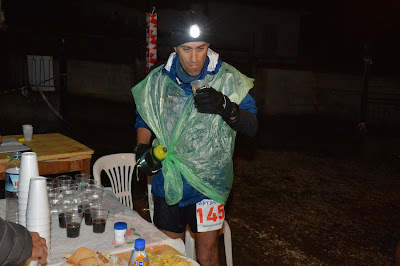 For me, final loop happened during the second night and even featured some lovely freezing rain and sub-zero temps. I couldn’t move fast enough to keep warm, and operated on border-line hypothermia for a few hours. I did manage to limp through the entire race, but it was a genuine struggle at times. One interesting side note to this event was that I managed to keep my Garmin charged the time using small battery chargers, so was therefore able to record the entire run….and the 30,000 feet of elevation gain it featured. John Kelly somehow managed to break the course record and actually finish in under 24 hours. This time seems absolutely ridiculous to me, considering it took me well over 36 hours. All said, I came away from the run with some fantastic memories and am very glad I decided to go through with it. Not sure I’ll ever return, but I would highly recommend the TWOT100 to anyone looking to get in a ridiculously difficult 100-miler. I can certainly see why many use this event as a primer and peak training tool for Barkley. Over on the research/work side of things, I started 2018 off with a lot of local field work in early March…digging and prepping snow pits in rural Enfield, New Hampshire. It was a nice change of pace from what I had been spending a lot of my time on at the lab the previous few months. 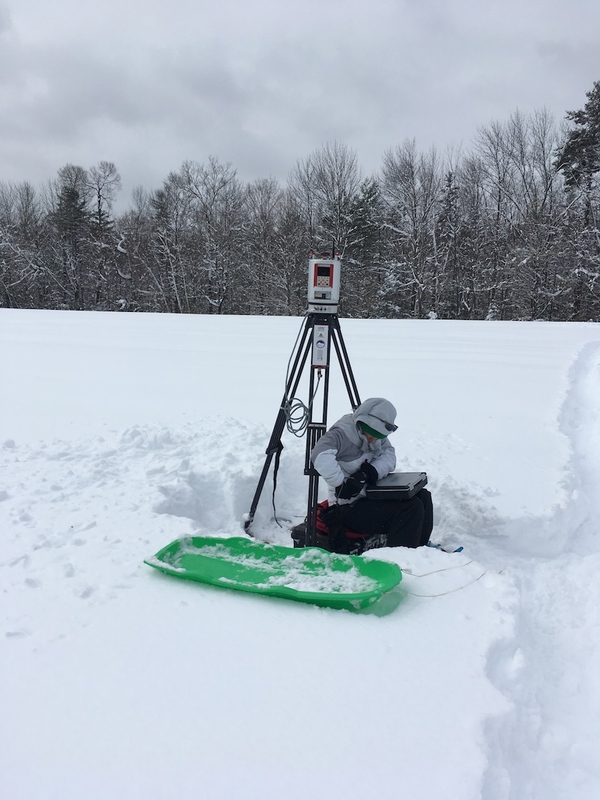 Nothing gets me hyped up about research quite like digging around in the snow. The few weeks later, and just one week before the Boston Marathon, I was invited to attend an Arctic workshop at the NCAR center in Boulder, Colorado. 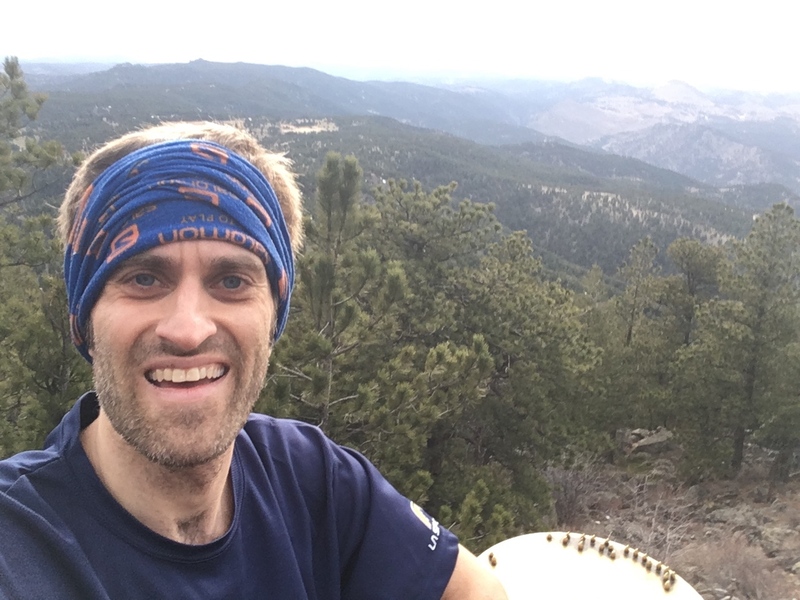 I spent 5 days hanging out in Boulder, climbing several trails and mountains of the flat irons. In general I tried to keep it pretty easy as I was in my final taper week for Boston. The conference was great, and I had a lot of fun chatting good science with fellow researchers. The downside was that on my 2nd to last day there, I began to notice a sore throat coming on. I tried my best to shake it off, and will it away, but by the time I was home over the weekend, I had a full on bout of bronchitis; just in time for the marathon. Spectacular. On top of Green Mtn. Boulder viewed from Green Mtn. On Monday morning, my bronchitis had reached its peak. I had a 100+ degree fever, couldn’t stop coughing, and felt like absolute crap. There was no way I was going to run well at the Marathon…and was debating whether to run at all. In addition to my condition, race day was expected to be low 30’s temps, with cold rain and 30+ mph headwinds. It was going to be miserable even if I felt 100%. With the bronchitis, I knew if I were to run, it would be survival mode the entire time. This was so ridiculously frustrating because I had worked quite hard to qualify and to build up my speed-work during my training. I had just run 22 miles of the actual course a few weeks prior at 7:40 per mile pace with very little effort. I comfortably felt like I was capable of running close to 7 min/mile race pace….and maybe, just maybe cracking 3 hours. But in my condition, and with the weather, there was no way that was happening. Race morning, I made the call to at least head to the start line with my full rain gear, poncho, and extra layers. It would be a slow, cold, slog, and I wasn’t going to go in a singlet. 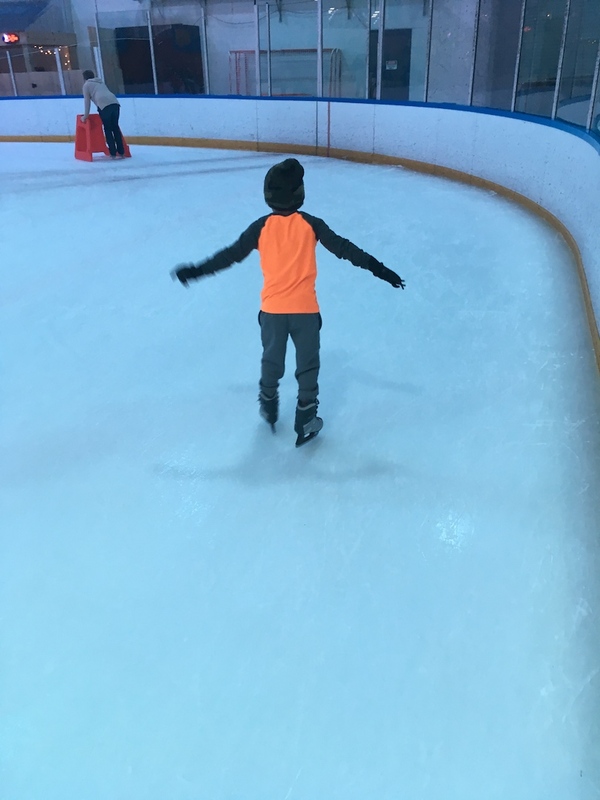 Ultimately I decided that this may be my only chance to run Boston, so I told C that I was going to try….even if it meant a lot of walking or slow jogging. I got dropped off at the athlete village in Hopkinton and sat around in the cold rain for over an hour before finally heading to the start line. 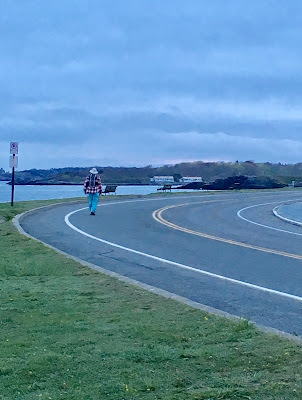 At the starting gun for my wave and coral, I managed to survive off of adrenaline for about an hour running at near my planned pace of about 7 min/mile….but once through Framingham, I found I could no longer draw in a deep breath and my fever was making me feel incredible ill. I gave up on trying to race, and slowed way down. I spent the next 18 miles in pure survival mode. When I made it to the Firehouse in Newton very near our apartment (mile ~17), C was there cheering from the sidelines. I walked over and told her I didn’t think I could finish unless I had a full rain coat to keep me warmer. I was starting to suffer the effects of severe hypothermia and would likely not have been able to “gut out” the remaining 9 miles. A few short miles later, I saw her again and she handed me my gore tex rain coat. I ran the remaining 6 miles wearing full rain gear. When I finally was in sight of the Citgo sign at mile 25, many of the 2nd wave runners had caught up to me. I was just happy to still be on my feet. When I finally made the turn onto Boyleston, I was happy that it was over. I crossed the line and nearly collapsed. I immediately went to the place C and I agreed to meet, and after connecting, we huddled inside a hotel lobby to get warm. I was in horrible shape and even sicker than I was at the start. Most people remember their first Boston Marathon fondly…for me, nearly the entire experience was awful. Perhaps someday I’ll re-qualify and return….to have a better experience. One last side note about the race…Somehow in the shuffle of packing up to head back home on the train, I misplaced my fleece hat. This particular hat someone gave me my very first year while working at the ice core lab in 2008. Since receiving it, that hat has been with me for over ten years. 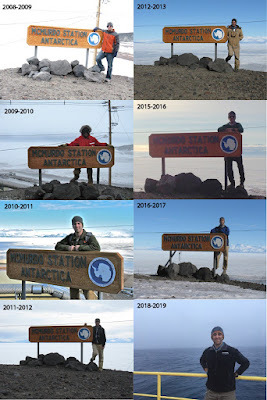 It has been to Antarctica 7 times with me, on two different thru-hikes (PCT, CT), and all over the world on my travels. It has made it around a couple of Barkley loops with me as well. It was probably my most precious article of clothing. I spent days tearing through every corner of our apartment…but never found it. The last picture of me wearing it was from mile 22 of the Boston Marathon. Wherever it is, I hope that someone is continuing to take it on many an adventure. This loss made me profoundly sad. It’s funny how such a small silly thing like a hat, can have so much sentimental value. 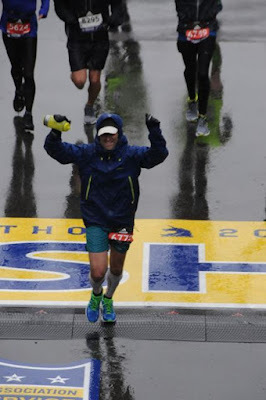 Having trained so hard for Boston, only to limp across the finish line, left me feeling somewhat underwhelmed and underutilized. I had spent so much time and effort in my training, that I felt it was now somewhat all wasted. Knowing I had Spartathlon coming later in the year (a race that requires a consistently faster and more well-maintained pace), I decided to take a stab at a fast 100k road race to assess my readiness. 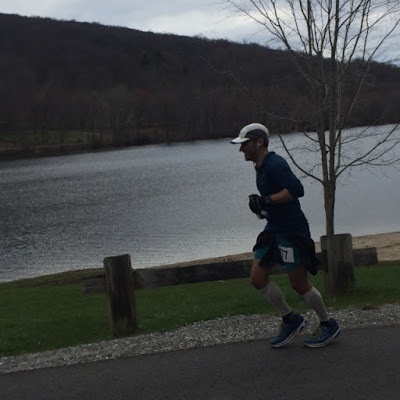 I signed up on a whim to run the Lake Waramaug 100k race in Connecticut, so that I could evaluate my overall pacing strategies and abilities. Interesting side note: This particular event is actually one of the oldest ultras in the country. My goal for the race would be to try to gauge my abilities and effort as stretched over 62 miles. 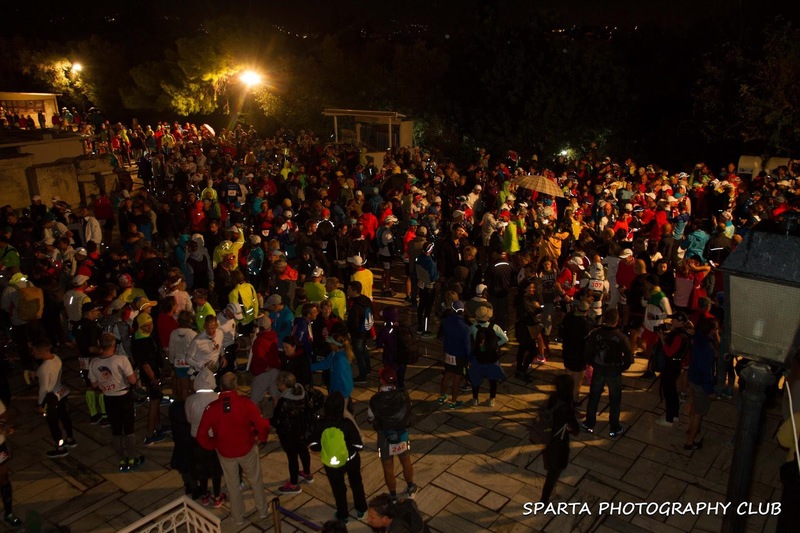 The Spartathlon course requires runners to remain fairly fast and consistent over the first 100k….before finally being able to slow down a bit. 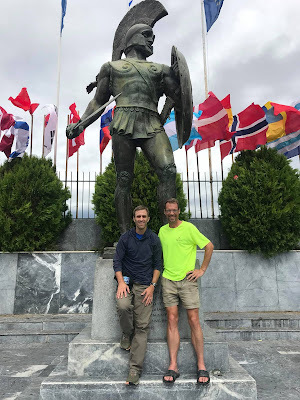 I figured if I could tackle Waramug as though it were the first 100k of Spartathlon…and tackle it well…I would definitely be more mentally at at ease heading in to September. In retrospect this exercise in pacing at Waramaug was absolutely critical in helping me come up with a more solid race-day strategy for Spartathlon. I managed to stick to my planned splits almost to the second…and was able to keep myself slower when I needed, and faster when I needed. I re-trained my aid station routines and habits as well, so that I would be quick and move with purpose. Despite the race being a looped road course, I actually had a lot of fun treating it like a math experiment. Sometimes, the scientist and engineer in me comes out and I really enjoy tackling a race as a math problem. It certainly helped that the loop was on the perimeter road of a very lovely Lake Waramaug. My goal was to finish in 10 hours exactly (well 9:59:59) so that I could be at a pace I wanted for Spartathlon. In addition, a sub-10hr 100k would serve as a secondary qualifier for future Spartathlon races should I need it. I finished the race in 9:54 almost exactly on my pace charts. My only problem was going out just a smidge too fast for the first 2 loops. I was a little more tired at the end than I probably should have been, but it was nice to have a 5+ minute cushion to play with as well. Somehow in the process of running this event, I also broke my all time PR for 50 miles with a 7hrs 45min time (previous PR was 7hrs 49mins at Tussey Mountainback). 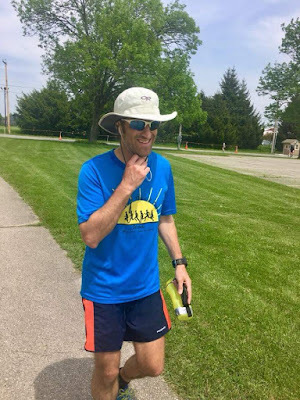 I’m not sure I would run this particular event again, but I definitely enjoyed tackling a race as a math problem…and with almost certainly do something similar again. As I always tell people when discussing my running, “I love to mix things up”. I can’t imagine only doing one type of running or racing. Variety is the spice of life is it not? 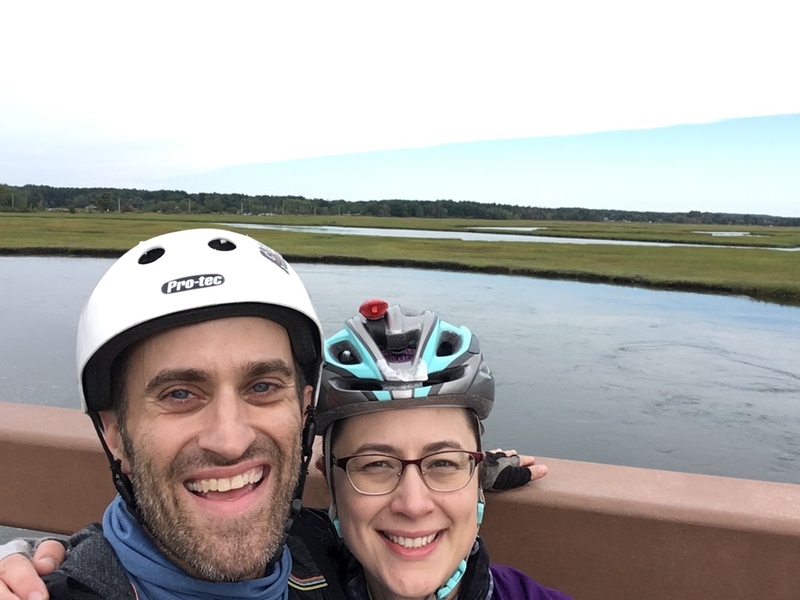 In early May, C and I decided to do an extended cycling trip on Martha’s Vineyard. This would act as a long training ride for her upcoming Tahoe Century charity ride, but would also just be a fun weekend on the island. 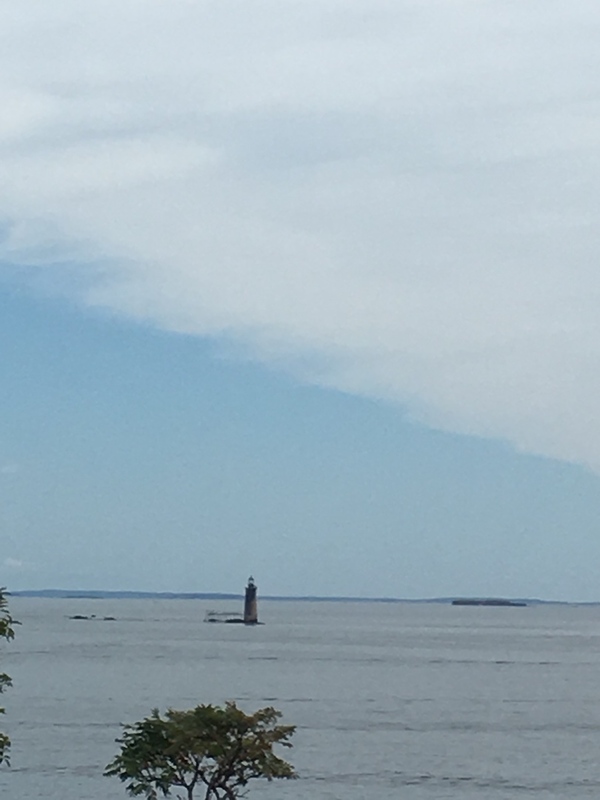 I have visited Martha’s Vineyard a few times many, many years ago…but hadn’t returned since we moved to the greater Boston area. This would be our first trip over together…and entirely by bike. We left our car on the mainland and used our bikes for all commuting on the island. We stayed at a small motel in Oak Bluffs and plotted up a loop around the perimeter of the island to tackle for our ride. The idea being to try to make the biggest loop as possible, while still hitting many of the towns, lighthouses, and major tourist spots. The rough calculation of the circuit we designed was a hair over 60 miles. We planned some good stops along the way as well, so that we could have strategic snack breaks. The actual ride was…mostly…fantastic, but the weather definitely did not cooperate for the entire loop. We had overcast skies and decent weather for the first half, but then fter reaching the farthest point of the loop out by Aquinnah, we were greeted by several hours of continuous cold/wet rain. This foul weather came right when we also started hitting the most hilly part of the course. We tackled this section going through a bit of a “grumpy” phase of the ride while we were wet, cold, and tackling those hills. But…we didn’t let it get us down for long, and were soon in another small town enjoying a warm meal. By the time we made it back to our motel, we were pretty ragged looking, but still laughing about it all…so in my mind, it was a great success. A few days after the ride, I found myself in a rather unusual support mode. Gary Cantrell (aka Lazarus Lake), the infamous founder of the Barkley, had publicly announced that he planned to attempt a trans-con walk. This walk, would be a sort-of “last hurrah”, a retirement pilgrimage, as it were. 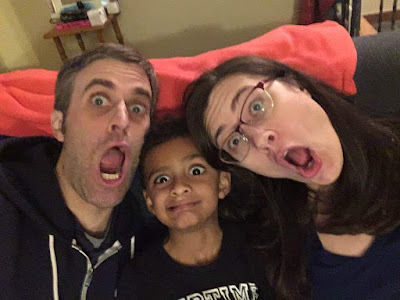 For years he talked about doing this, but in early 2018, he made it official…announcing that he would be starting the journey in May 2019. He sent out an itinerary and route, and asked the world if there was anyone that might want to join him for various sections. His route had him walking the entirety of Route 20, which incidentally begins right outside my office window at Boston University. 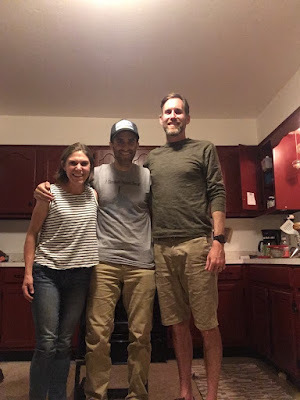 So…without hesitation, I told Laz that not only would I see him off at the start, but that he could stay with us in Boston for as many nights as he wanted. 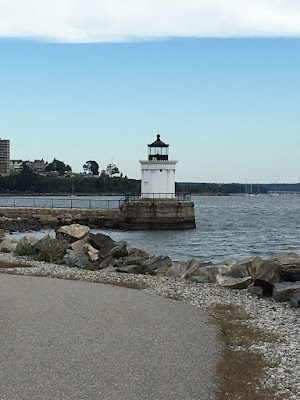 In the months leading up to his start, Laz decided to actually start down in Rhode Island on the Atlantic coast….so he could claim “Newport to Newport” for his journey (Newport RI to Newport OR). 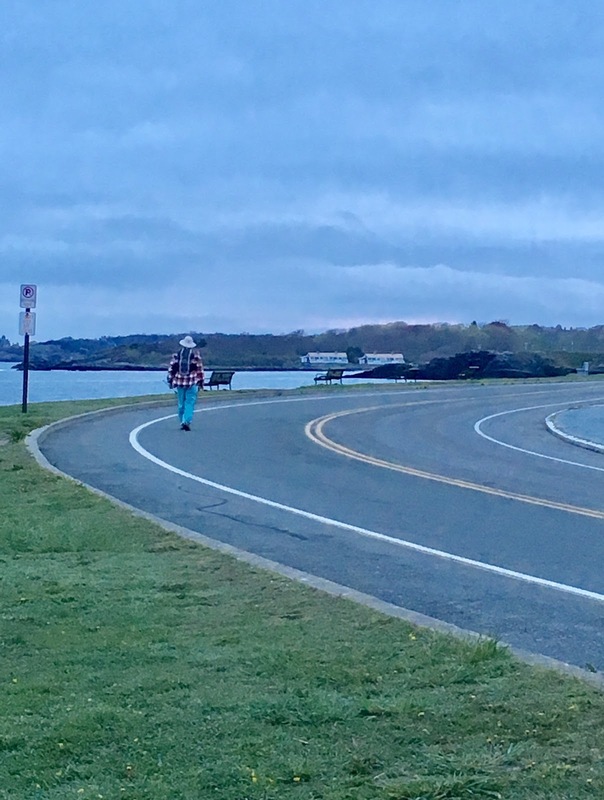 I drove down to see him off at his start and helped him gather his small vial of Atlantic Ocean water that he’d carry with him on the entire journey. Over the next couple days, I helped support him as he came into Boston. 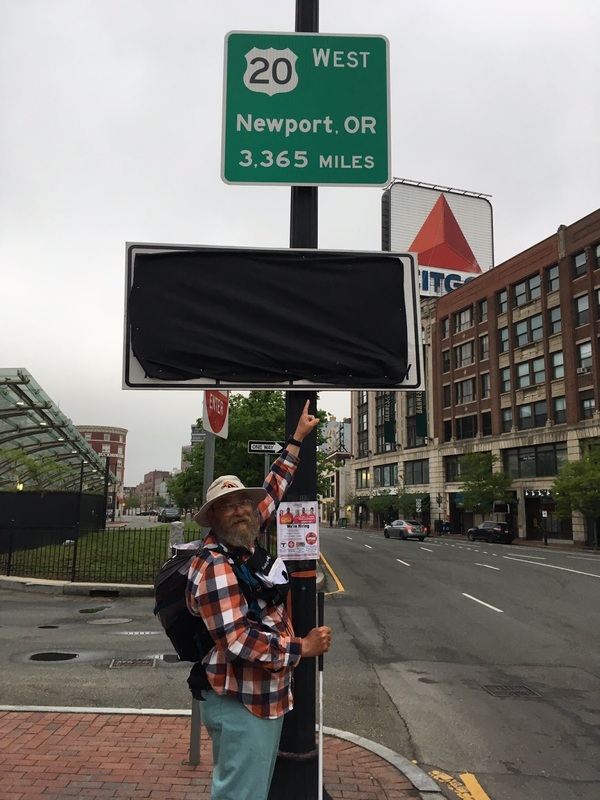 Upon arriving in downtown, he made the turn on Boyleston so he could head over to the start of Route 20 at Kenmore Square. We took a slight detour so that he could cross the Boston marathon finish line. It was a bit surreal being back at the line just a few short weeks after my own miserable finish there. When we got to the sign marking the start of Route 20, we took a picture for posterity. 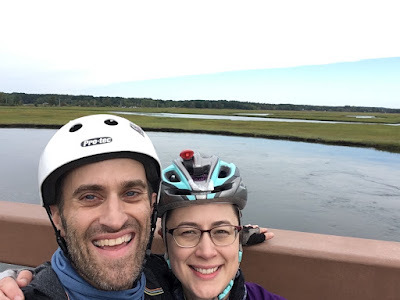 Laz and I then shared about 14 miles as we made our way through Boston, Watertown, and eventually Waltham (just 2 miles from our apartment in Auburndale). We enjoyed a well-earned breakfast at a famous diner in Waltham, and then I said my goodbyes. If you would have asked me after those first few days if I thought Laz would make it to the Pacific, I honestly don’t know what I would said. Laz is as stubborn as they come, and would not mentally quit….but I was worried about his physical condition a bit. But…a little over 4 months later, he did indeed reach the Pacific in Newport Oregon…and successfully emptied his small vial of Atlantic water. It made me think back to when I did something similar with my PCT sand that I carried from Mexico to Canada. Kenmore Square - the Start of US 20! A little later in May I made my annual visit to the 3 Days at the fair event. This would be my 6th time running, and 5th time signed up for the 72 hour. My attitude was notably different than usual for this event. 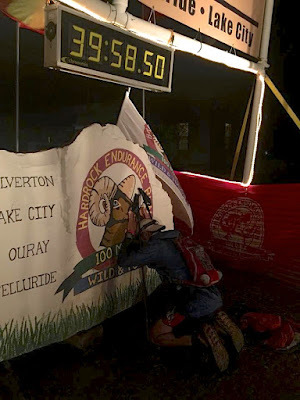 Typically, I would run the 72 hr event, with my eyes focused on reaching the mythical barrier of 250 miles; a barrier I’ve only managed to cross once. After four years of running the 72, I switched things up in 2017 and ran the quadzilla event that features 4 marathons in 3.5 days. That experience was dreadful, so I opted to return to the 72hr format this year. 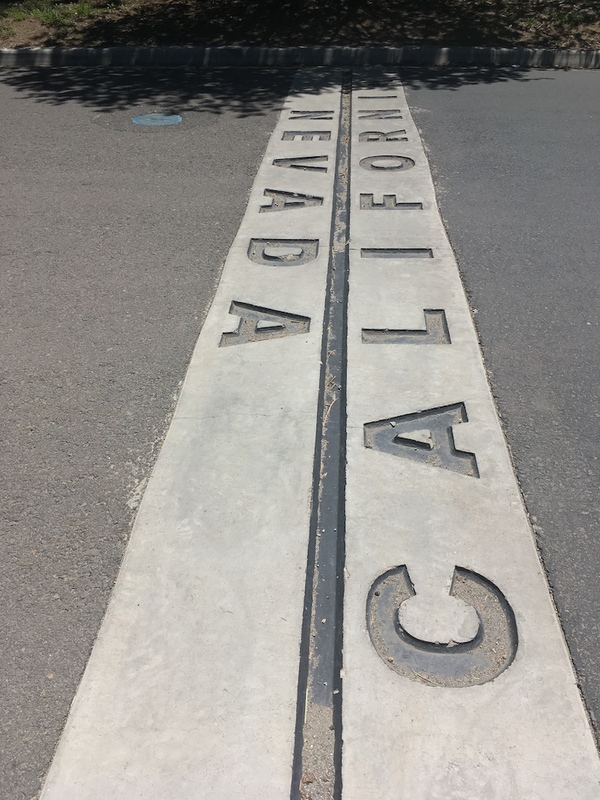 When I arrived at the fairgrounds though, I found that my attitude was much more subdued than normal, and I just wasn’t feeling an urge to push for 250 miles. I also knew that I would have a busy summer of Hardrock and Spartathlon coming up. With these thoughts on my mind, I decided to treat 3 days as more of a fun adventure with friends. I decided very early to get proper sleep every night, and simply have as much fun as possible. There would be no pressure to keep moving at all times and survive on minimal sleep. It was a bit hard to stick to this at first, as my natural tendency was to keep pushing….but after the first full day, I sat down for a full night of sleep. By the second day, I was having an absolute blast just ticking of fun miles, and goofing off with friends. I made a soft goal of trying to make 153 miles, as that would be the total miles for Spartathlon in September. It seemed like a fun number to aim for. 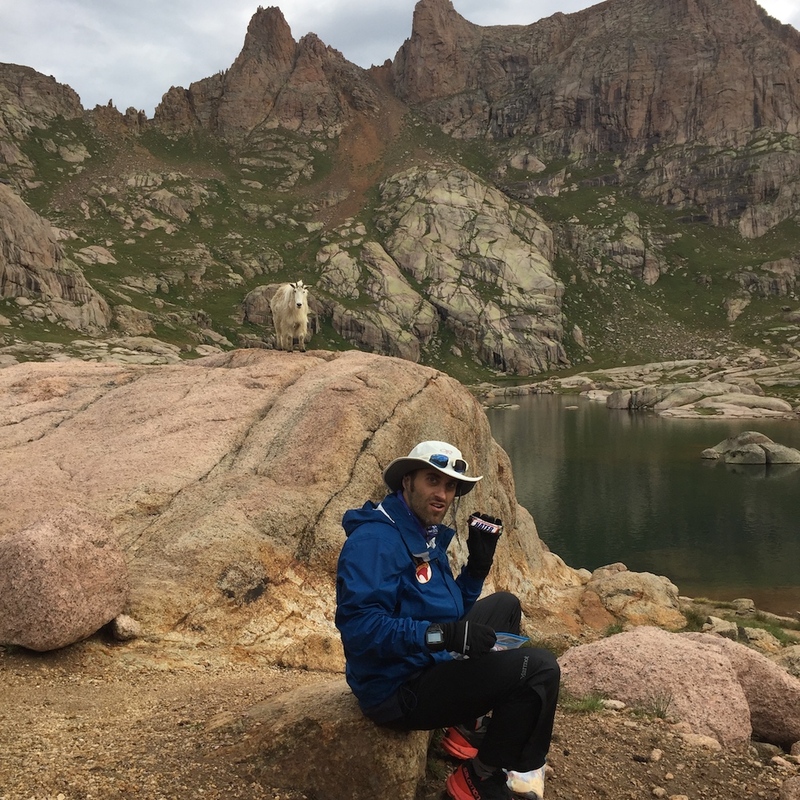 By the final morning, and many laughs later, I was crossing the line of 154 miles, completely at peace with my decision to have a more relaxed weekend. In 2019, I may again try something more relaxed for three days, despite the fact they will be offering a new 10-day race…which I’d like to try at least once. In early June, C and I headed to Lake Tahoe for a short visit, and so that she could participate in a 100-mile charity ride around the lake with her siblings. My role was simply that of support. 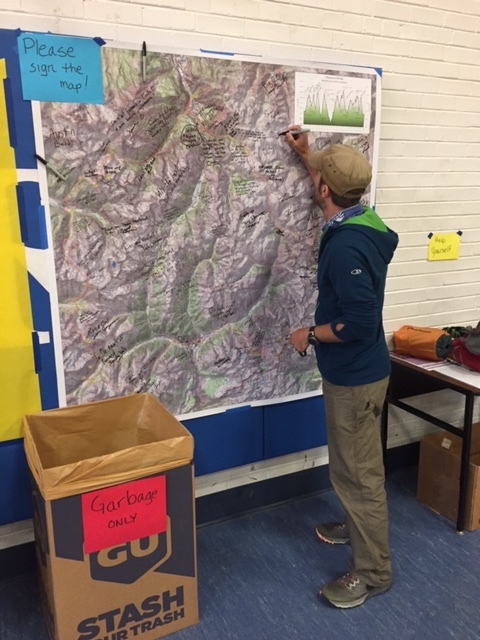 In addition to the approved aid stations, I would drive around the course to a few spots on log stretches, and have some cold drinks and supplies for them if needed. With that said, playing in and around Lake Tahoe is always a treat, and I was thrilled to be hiking in the area during some free time. 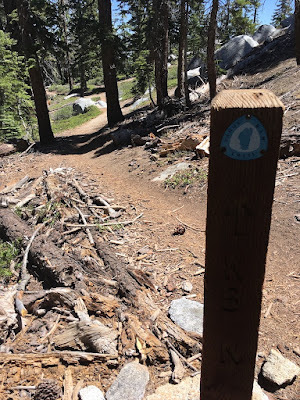 During a block of time that C was off doing registration commitments, I spent a few hours running along the TRT, and it definitely planted the seed for a thru-hike. On ride, day, the three of them made their way around the Lake, and I navigated to our previously agreed-upon meet-up spots. They made great time in the first 60 miles, and I was constantly leapfrogging to the next location. The weather was perfect for their ride, and the managed to finish in great spirits. In total, they raised over 10,000 dollars for LLS for their ride. C and her siblings at mile 40 of the 100 mile Tahoe ride. C and her siblings at mile 60 of the 100 mile Tahoe ride. 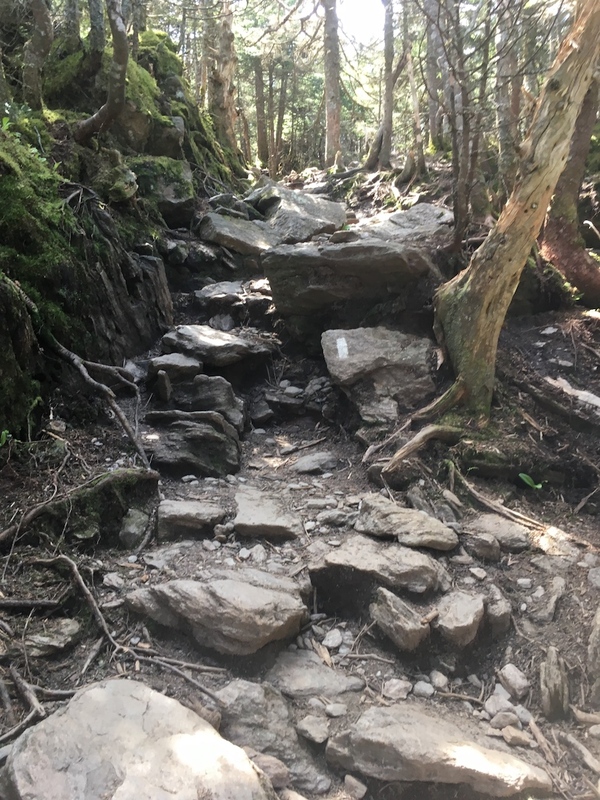 In the first week of July, I spent a couple of days hiking around on the Long Trail up in Vermont, with a focus on the extremely technical parts around both Mt. Mansfield and the Camels Hump. 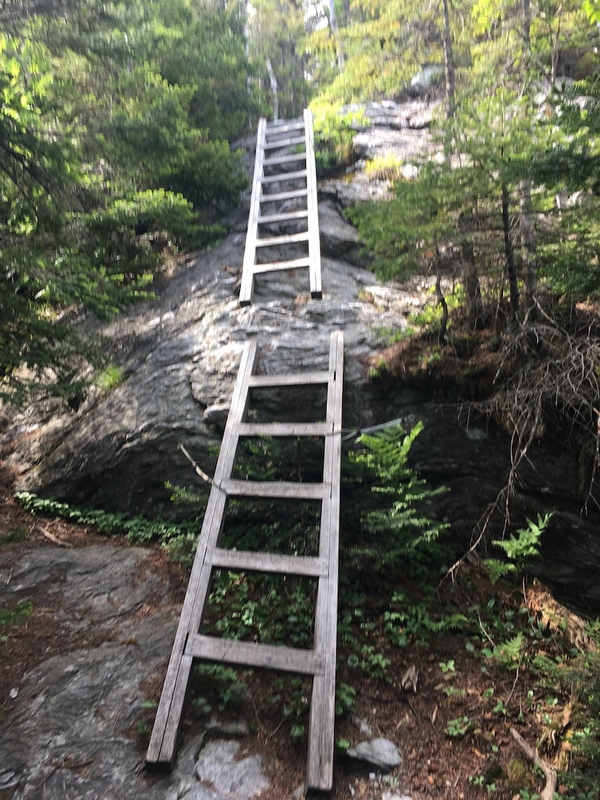 I figured this was a good way to get in some difficult climbing for Hardrock. Along the way, I stumbled across a hot air balloon festival. There were probably 50 balloons floating all around. It was quite surreal. 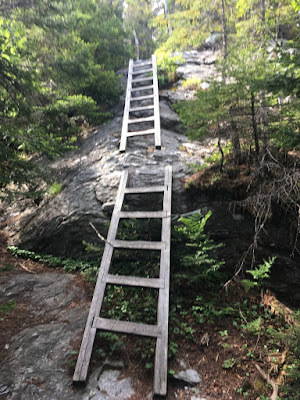 On my hikes, I managed to take on several long and technical climbs....which really boosted my confidence going into Hardrock. 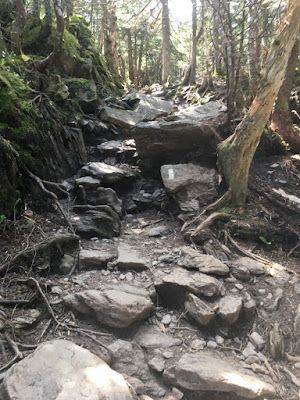 Hiking along the Long Trail and in Vermont's Green Mountains never gets old. Never. As July moved along, C and I made our way to Colorado for what would be our combined vacation and my Hardrock run. We opted to rent a camper van and tour around the San Juans so that we could get in a good mountain camping experience, but also so I could get some time at elevation. On many occasions we would camp at trailheads for 14er mountains and I would head out in the early/dark hours of the morning to bag a peak before we started our day. I could write a novel about our experience in the weeks leading up to the race, but I’ve essentially already done this in a post a few months ago. Quite simply, this was one of my favorite vacations I’ve ever had…and we had an absolute blast galavanting around in our fun little campervan. 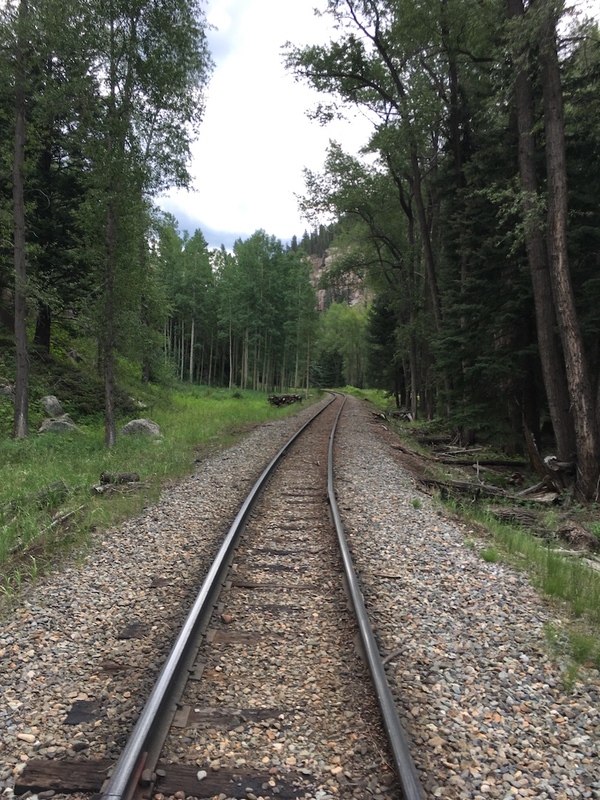 One major highlight was definitely taking the train into Chicago Basin and spending a few nights camping there. In addition, the trip allowed me to completely finish off quite a few more 14ers en route to trying to bag them all. I ended the vacation with 12 left Rather than re-hash the details here, I will simply link to the meatier post from a few months ago. So it is that we now come to what I consider to be capstone highlight of my year….the Hardrock 100. After over 9 years of thinking about this event, I was finally going to be able to make my way to the starting line. After almost two weeks adventuring around the San Juans, C and I rolled into Silverton a little later than we wanted. We hit a snag coming back from our Chicago Basin hiking trip when our train ride was canceled due to the big fires and mudslides. Ultimately, we had to hoof it over 13 miles along the railroad tracks to get back to town. We did manage to to still arrive the night before check in though, so nothing important was missed. All of the pre-race festivities went off as planned, and I was simply trying to mentally take as many pictures as possible. I had spent the past 2 years watching the pre-race activities from the outside, so it was a bit surreal to be part of it first hand. I made sure to do it all though. I went to all the optional meetings, bought stuff at the gear event, and hung out with as many runners as possible. As night drew close, C and I retired to our hotel room so that I could get a full night’s rest before starting a race I had wait so long to. Needless to say, I did not sleep soundly….I was just too damn excited. The following morning went by so fast I hardly remember it. I remember drinking a quick coffee, getting my gear all laid out, and then making my way to the starting coral. 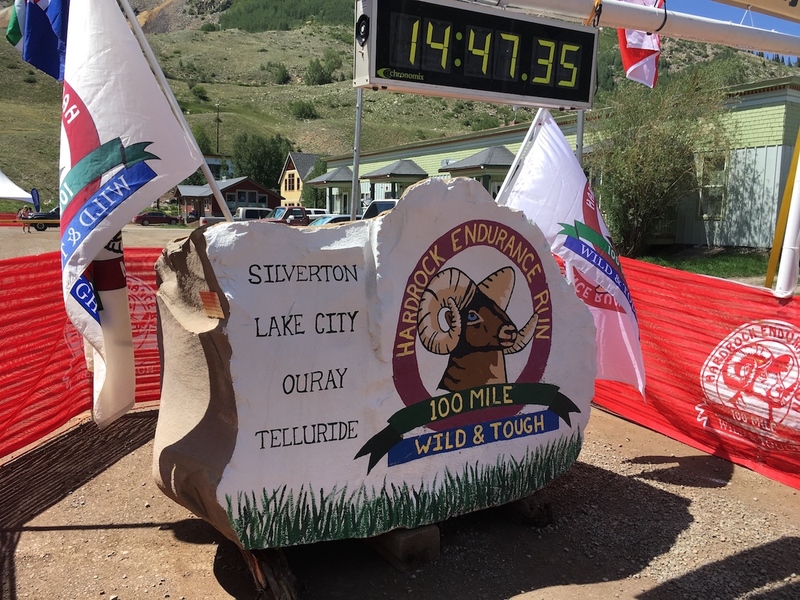 In what seemed like just minutes, the countdown began, and before I could really savor the moment, I was trotting down the street in Silverton as a Hardrock runner….making my way through mile 1 in perfect weather. 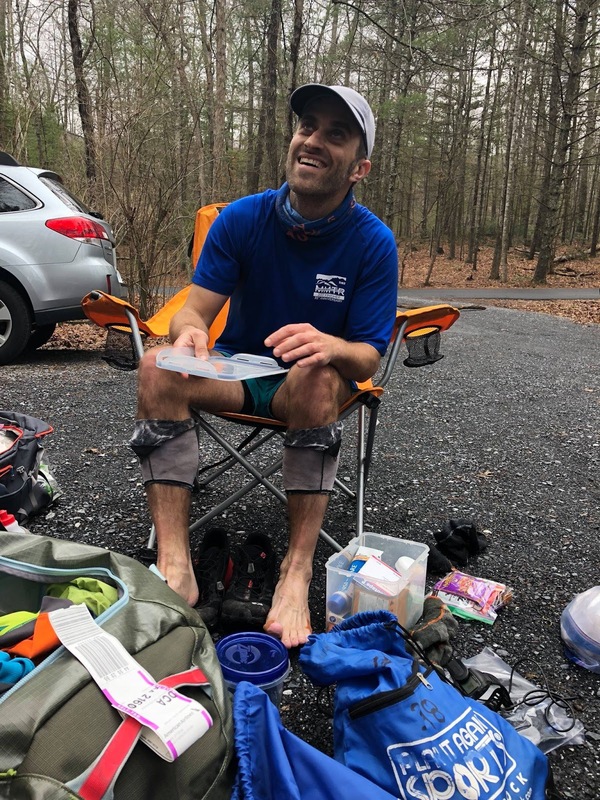 I wrote an extremely detailed race report on my experience throughout the entire race, so I won’t rehash it all, but I will say there was a whole range of emotions and experiences I had during my nearly 40 hours on the course. There were so many highlights though. 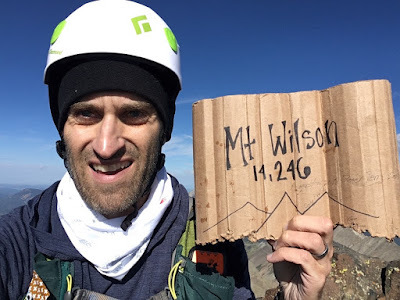 The mountains, the people, the incredible trails, having C at the aid stations, summiting Handies with Travis, sharing miles with Blake, dodging lightning on my the final descent….I could go on and on. 2nd to only the Barkley, my experience at the Hardrock was my most special of any other ultra or trail race to date. It left and absolutely indelible mark on my soul. Every moment on the course only solidified my already present feeling that the San Juan mountains are amongst my favorite in the entire country….save for maybe the North Cascades….and that’s a big maybe. After my experience at Hardrock, I think the San Juans may just have taken that top spot. There is just something about them that are simply magical. It’s not just the run either. My experience with C in Chicago Basin was one of my best memories from the entire 2 weeks in Colorado, including the Hardrock. I just love those being in those mountains. I’ve known that since my thru-hike on the CT back in 2008. I will never tire of spending time deep within the San Juans. My experience was ultimately a success. I battled many difficulties, but did cross the finish line in under my goal time of 40 hours (by only about a minute! )…after a rather ridiculous battle with some intense rain and lightning. The link below contains my full and detailed race report. One last note, I did manage to participate in the 2nd Annual PHD Mile (Post-Hardrock Depletion) the day after my 100-mile finish. I ran a bit slower this year, but still was able to sprint it out for a decent finish. I spent an enormous amount of time working on the full race report linked below. If you are interested in reading all of the details of my HR100 experience...I tried to include everything. 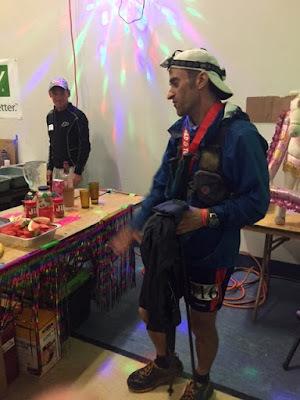 It is one of my longest race reports. Just a few short weeks later, I found myself right back in Silverton, but for a work related trip. 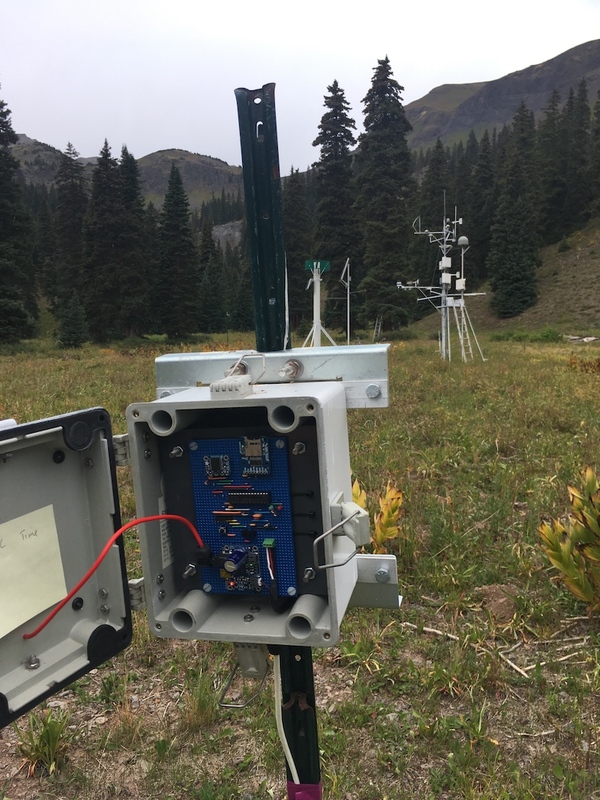 I was asked to go by a colleague at my lab, in order to service some weather station located high up in the San Juans. In addition, I would be cutting some ice-core samples that I would eventually bring back to the lab for imagery in our micro-CT instrument. Of course I couldn’t say no to this offer, as it would mean even more back-country tramping in and around my favorite mountains. The trip was a major success overall, and I was able to hike up to all of the stations to properly service them. I took some soil samples as well, and managed to accomplish all of my work/lab responsibilities with a full extra day to spare. So……what to do with an extra day? 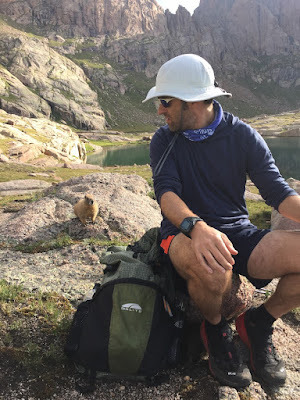 Climb 14ers and visit friends of course! I had two remaining peaks to tackle in the San Juans in order to complete that region for good: Mt. Wilson and El Diente. This work trip gave me the perfect opportunity to take them on as I was conveniently scheduled to fly out of Durango to the South. I could leave a day early from Silverton, bag these two peaks from the Kilpacker Trailhead, and then zip down to Durango for my flight. In the process, I would also try to hook up briefly with some very old friends that I knew lived in town; friends I hadn’t seen in over 10 years. 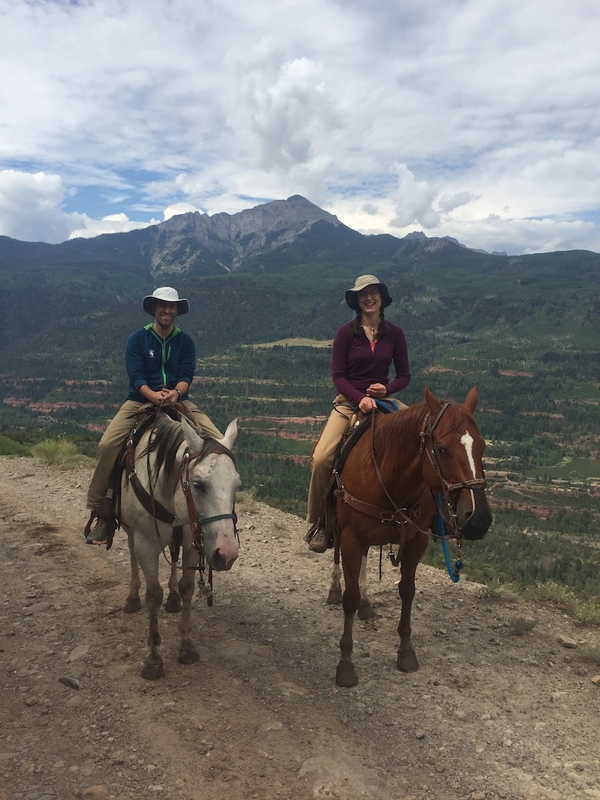 My only mistake with this endeavor was thinking I could easily take my rental car up and over Ophir Pass. I’ll reiterate what I put in my lengthier post about this, “Ophir pass is not suitable for cars without adequate ground clearance”. I did manage to very gingerly work my way down the pass in my rental mini-SUV…but definitely bottomed-out a few times. The West side of the pass is decidedly more treacherous than the Eastern side. 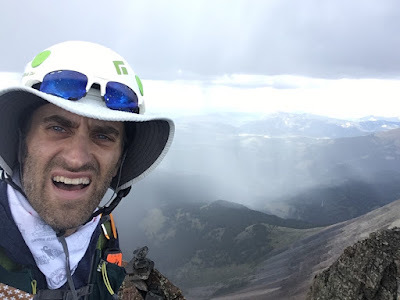 As far as the peak-bagging of the 14ers, I was successful in finishing off my last two San Juan Peaks….but not without a small weather/lightning scare. I made it down by early afternoon, and was in Durango just a few hours later. 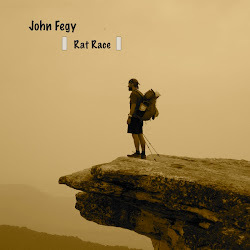 Once in town and checked into my hotel, I sent a text message to two fellow AT thru-hikers that I met while on my hike in 2007: Stitch and Figgy. We arranged a meet up, and I was over to their place in just a few minutes. 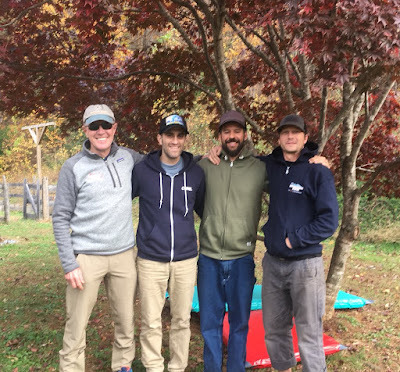 One of the things I love about thru-hiking, is that the friends you meet, and the connections you make, do genuinely last for a lifetime. Sitting there with Stitch and Figgy, talking about random adventuring felt just like it did at that remote campsite all those years ago near the GA/NC border. I’m hoping to see them both again in 2019. As a way to assess my fitness post-Hardrock, and pre-Spartathlon, I decided to sign up for another one of Laz’s races, “A Race for the Ages (ARFTA)”. It is my goal to at least run every single one of his races once…and I still had this one on my list (along with the Strolling Jim and the Barkley Fall Classic). 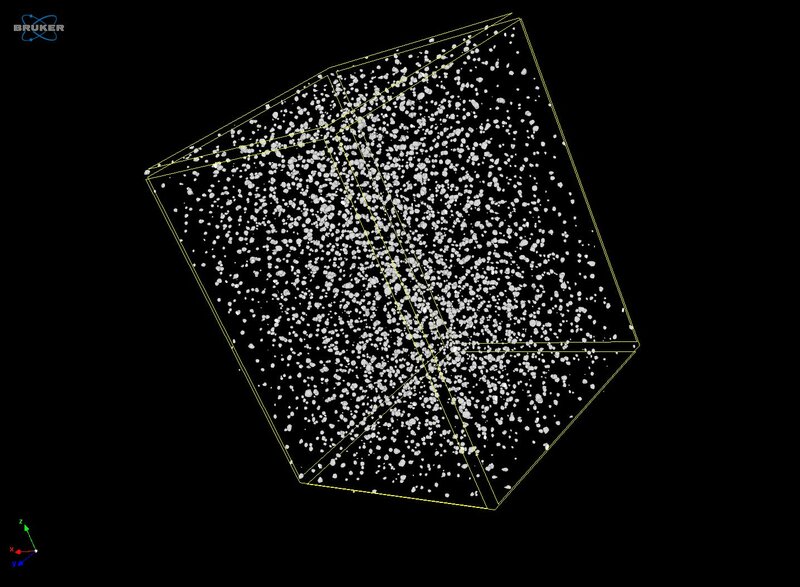 What makes ARFTA unique is that it is a timed event, but the amount of time you get in hours, is determined by your age. So older participants often have an advantage. I was one of the younger runners, so got less time than almost everyone else. 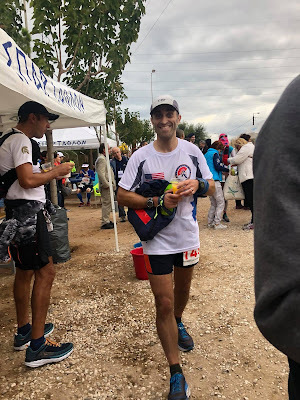 I was ok with that though, as my only purpose being there was to see some good friends, and to try to work one last time on my race and pacing strategy for Spartathlon. My goal was not to go continuous for the entire time, but rather break up my runs into a 40 mile running block, and then two 25 mile run/walk blocks. Lastly, I would end with a mostly power hiking block for however long I felt like it. 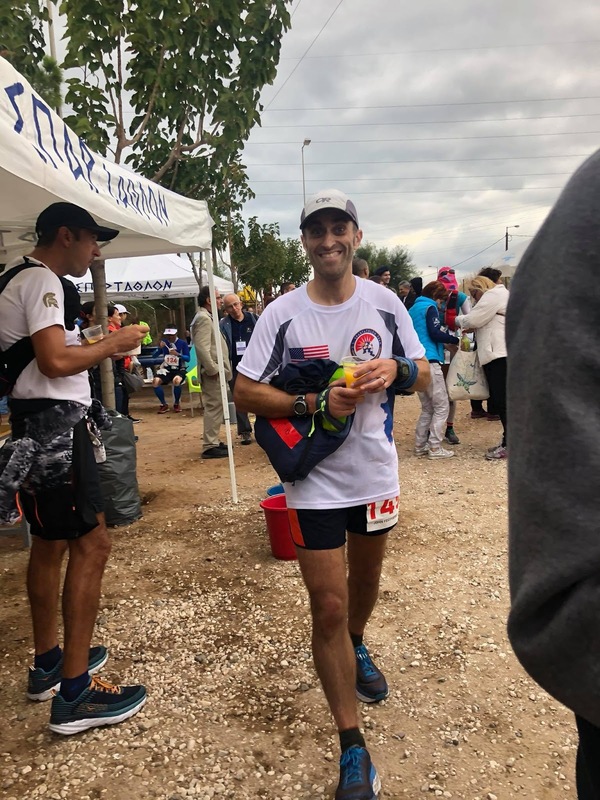 My goal for Spartathlon was to essentially run the first 40 miles consistently without breaks….and then work in 8/2 and 7/3 time blocks (run 8 minutes, walk 2….or run 7, walk 3….etc). I began my run in the evening at ARFTA and ran straight through until about 2 or 3 am, banking a solid and consistent 40 miles just as planned at about 9:15-9:30 per mile pace. 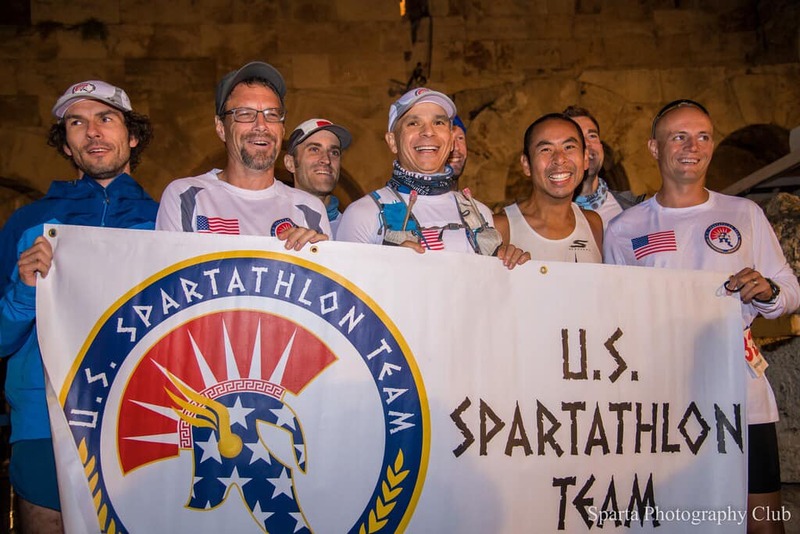 I kept a keen eye on my pace and progressed just as I would at Spartathlon. I went back to my hotel room, slept the remainder of the night, and then came back to run the following morning for 25 miles. This 25 miles involved some 8/2 run/walks…and was again, mostly successful. I was back again at my hotel by early afternoon resting with my feet up. I took a short nap until after dinner, after which I headed back once more to run another 25. The evening 25 miles were a bit tougher, and so I started incorporating some true walking breaks. With that said though, I was still able to maintain my overall goal pace for Spartathlon. Upon hitting 90 miles, I headed back for a full nights sleep. I had not planned on doing any more miles, but figured I had to at least bag 100 to get the buckle. I convinced myself to at least head back a few hours before the end of the race and walk those 10 miles. I ended up jogging for a couple hours with plenty of walking and was able to actually knock out a final 20 miles to bring my total to 110. I was incredibly pleased with this result considering how much time I spent sleeping and how little soreness or fatigue I had. It felt like I truly “took it easy”. Following my run at ARFTA, and still a couple of weeks out from Spartathlon, C and I again decided to participate in a fun group ride. It turns out that there is a smaller sister race to the much larger LLS ride that C had done in Tahoe back in June. LLS puts on an East Coast version up in coastal Maine that features a 40, 60, and 100 mile version. We decided to take it slow and have fun, so signed up for the 40-mile ride. This way, we could take a lot of breaks, and visit all 9 light houses visible from along the route of the ride. Unlike our Martha’s Vineyard ride, we had perfect weather. This made for a relaxing day of coastal riding, and lighthouse spotting. At the last lighthouse, we even stopped for a short tour and just to walk around in a large grassy field. It was a perfect little ride during pleasant fall temps. We couldn’t have asked for a better day. In late September, came my other really big race of the year. This ultra was something entirely different than what I am traditionally used to. I wrote a pre-race report detailing this, but the bottom line is that Spartathlon requires all runners to run not just long….but also relatively fast. This thought made me quite nervous, and rightfully anxious. 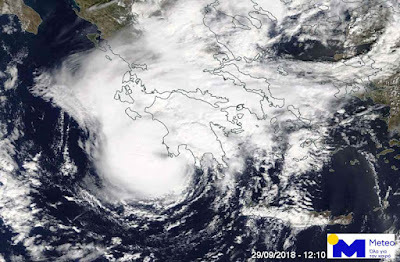 Getting to Athens came together without too much trouble, and I was able to meet up with my US teammates rather quickly. 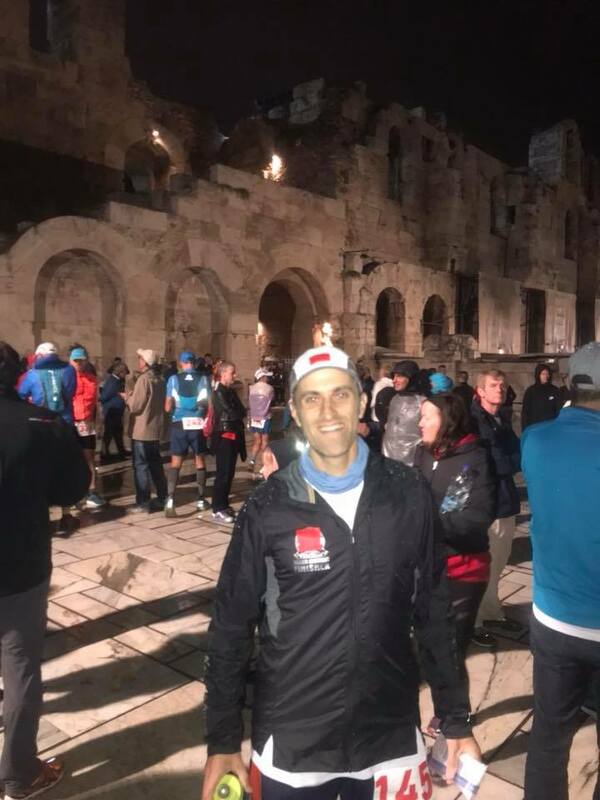 From the moment I checked in, I was amazed at the treatment I received, and the race perks associated with being a registered runner. We were given full meals, three times a day, a fantastic hotel room for every night, and plenty of race swag. 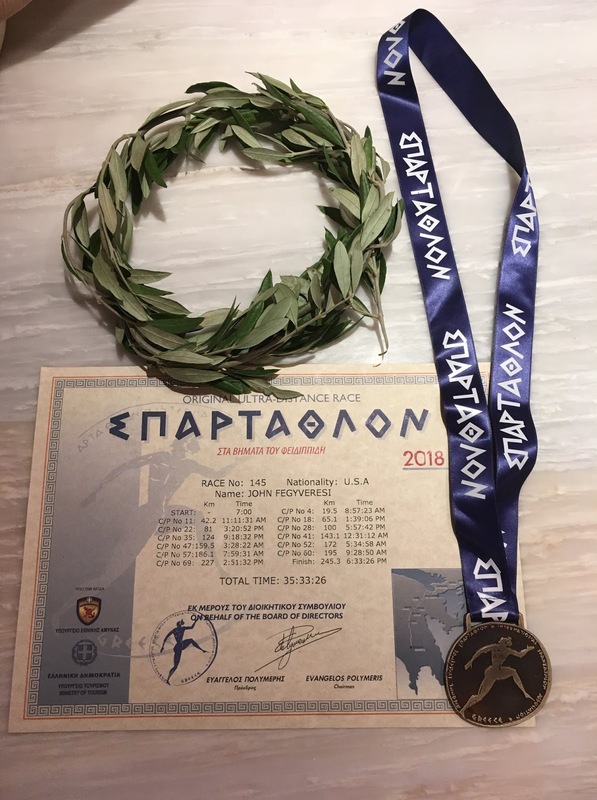 I brought over 600 euros with me, and spent maybe 200…and that was mostly on souvenirs, and fees to enter museums and places around the Acropolis after the race. I spoke about this quite a bit in my race report…but I have never felt more like a celebrity. Crowds of people were cheering for us all during the race, and I had children run with me through towns, asking for autographs. It was an absolutely amazing experience. I can’t recommend this race enough. It had that feel of history and importance…kind of like the Boston Marathon. Plus, as you make your way through the course, you are often greeted by random ancient ruins speckled across hillsides and valleys. Despite being 153 miles of pavement, this race is stunning. Definitely not like a Hardrock “stunning”, but “stunning” in its own remarkable way. My actual race mostly went well. My planning and pace strategy were spot on for about 100-110 miles. 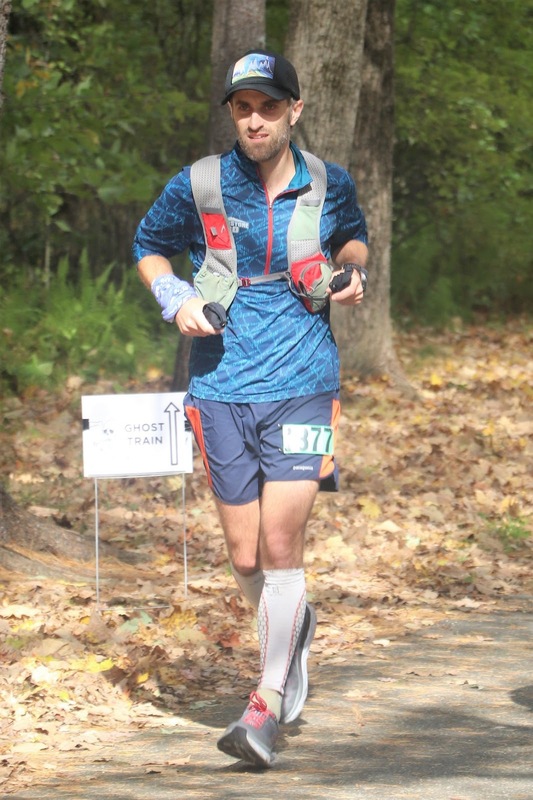 I was thrilled with my 50-mile, 100k, and 100-mile splits. But after about 115 miles, I started experiencing severe foot pain in my left arch that made running very difficult. That, coupled with the atrocious weather related to tropical storm Zorba…resulted in a very slow and miserable final 50k. I lost several hours in those last 30+ miles, and actually cut my finish way closer than I would have liked. I was on pace for about a 32 hr finish, but actually crossed the line in about 35:30…just 30 minutes from the final cutoff. 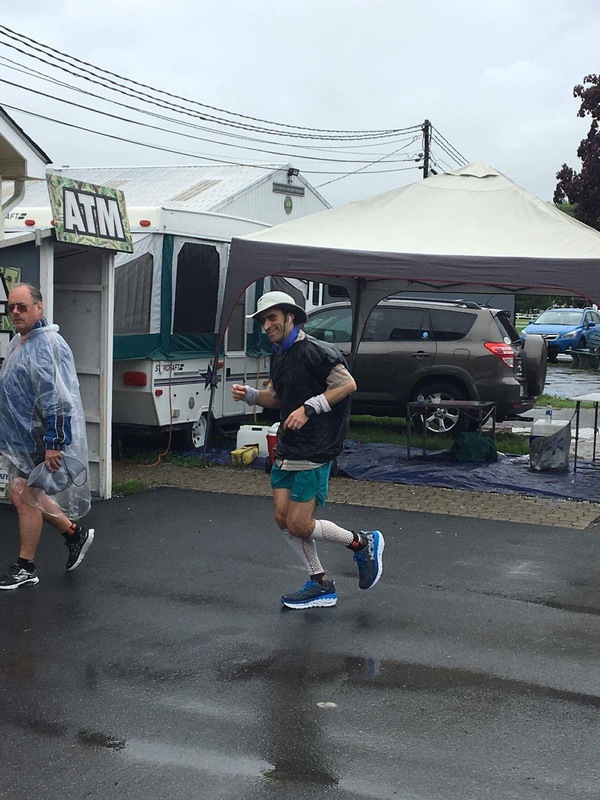 Despite being a wet, cold, and shivering mess at the finish, I was giggling like a kid inside. 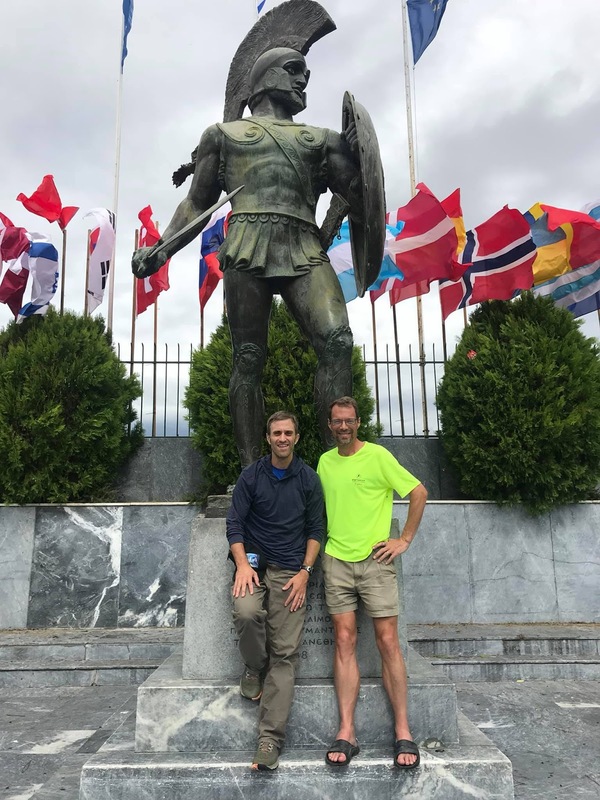 The final miles through Sparta were incredibly powerful and emotional. It definitely brought me to tears a few times. My full race report, detailing all of the ups and downs of my race can be found at the link below. This is one race that I have been very grateful to have been invited to, and would love to go back again one day. It was quite humbling to be a part of the US team as well, as I had the honor to run alongside some fantastic team mates. I spent a few days after the race seeing the sights of Athens. Other than seeing Stonehenge many years ago, I had not seen ancient ruins quite as old as those of the Acropolis and surrounding area. I love the concept of deep time, whether it be geologic, or historical. Walking around Athens was indescribable. 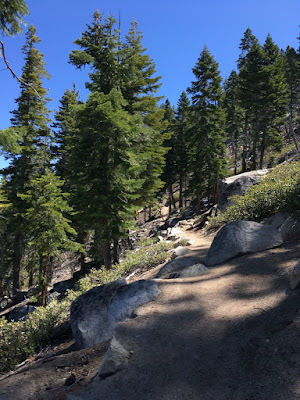 As fall progressed, my adventuring slowed way down and took on a similar feel to 2017. I ran a couple of local TARC runs, eased my weekly mileage back, and began to settle into for the winter. Extra clothes starting making an appearance as well for those outside runs. The three races that particularly stand out for the Fall as more “fun runs” than anything, were all TARC runs: The Ghost Train, the TARCkey Trot, and the Winter Fells. 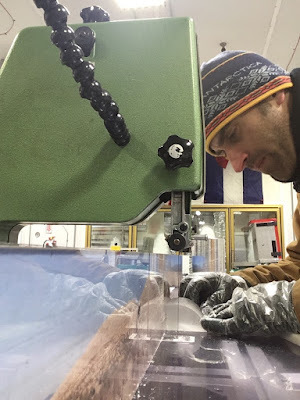 I had very similar experiences at these events as I did last year in that I approached them casually, and as a way to have a little more fun in the woods unwinding before taking my usual December break. At the Ghost Train, I had initially thought I’d do the full 100, but after Spartathlon, I decided to again just run it until I felt like not running. For this year, that meant 60 miles again. I improved greatly on my 60-mile time from 2015. For the TARCkey Trot, I started slower than I did last year, but was more consistent. As the day progressed, I managed to comfortably complete 9 loops (1 less than last year) with some time to spare. I maybe could have done 10 again, but it would have felt more like a race. 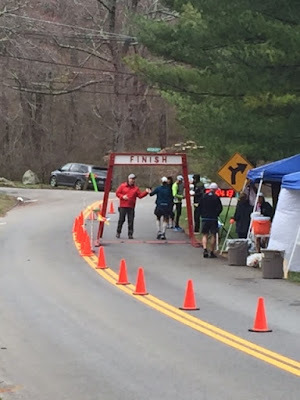 At the Fells, this event was again my last true race of the season…as well as my way to clear my mind and soul during the big Lottery draws (WS and HR). I had re-entered both lotteries with very little expectation that I’d be selected for either…and was simply trying to continue to build my ticket counts up again. 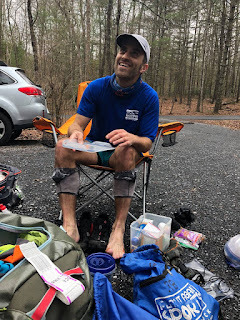 I finished the 32 mile trail race in great spirits, said my goodbyes to friends and upon arriving in my car, saw the text informing me I was drawn again for Hardrock. I was overcome by an enormous sense of guilt by it all….as though I didn’t deserve to be selected again, when so many others are still waiting. I talked at length about this in my related post. 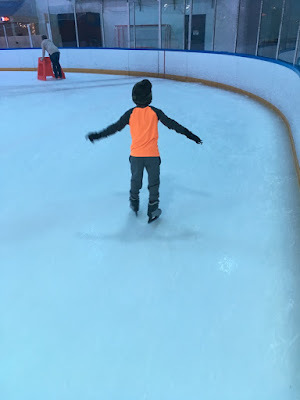 After a lot of thought and reflection, I ultimately did decide to accept the invitation, and am excited to tackle the HR course again….and this time in the counter-clockwise direction. 2019 is already shaping out to be another epic year. 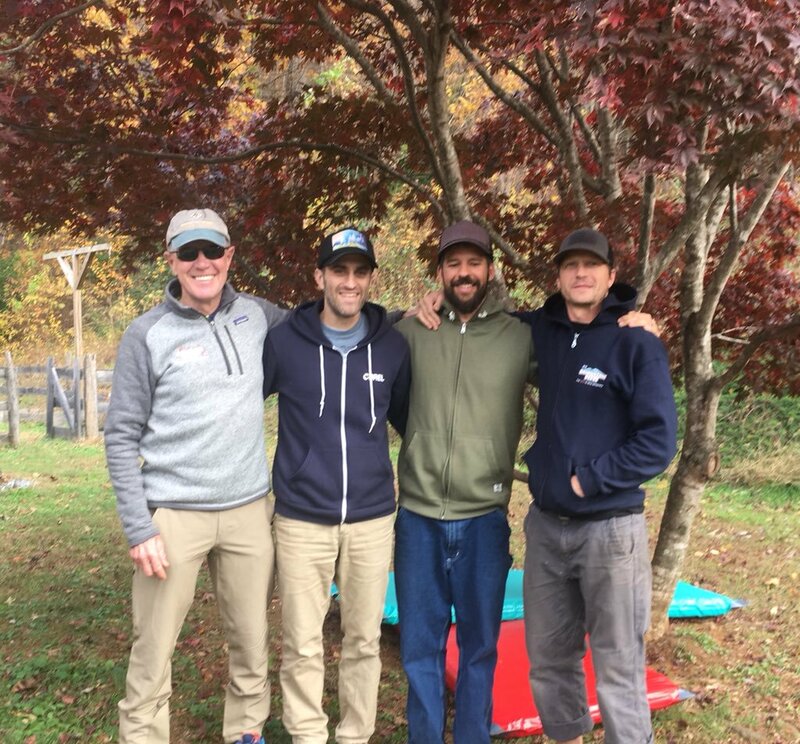 Amidst these races and the lottery news, I did also manage to slip away in November for my annual running of the Mountain Masochist Trail Race with my Barkley family. This was my fourth running, and for Travis, his 20th. Like last year with AT celebrating 20, there was a special awards ceremony for Travis, and he was presented with a really nice, specially embroidered, rain shell. The run itself was fantastic as usual. We spent the full 12 hours swapping ridiculous stories and came away with some good laughs and smiles. As usual, we cut the finish a bit close, strolling across the line with about 10 minutes to spare. Hortie definitely gave us crap for that. In December, my mileage plummeted, as planned. My self-impose month of rest felt good. I did still go out on a few casual jogs, just to keep my legs loose, but nothing significant. At one point on a random run with a local friend, we were standing a traffic light when I realized I had just surpassed 24,901 total lifetime running miles. At that exact moment it had occurred to me that I had essentially run around the Earth (at the equator). I wrote a quick post about it. I also spent some time down in Washington DC for the annual AGU science conference, where I was able to walk around the National Mall in the evening. It was quite lovely (despite all of the political bitterness currently hovering over the capital). I was able spend the the early part of the Holidays with my sister, brother-in-law, and nephew. 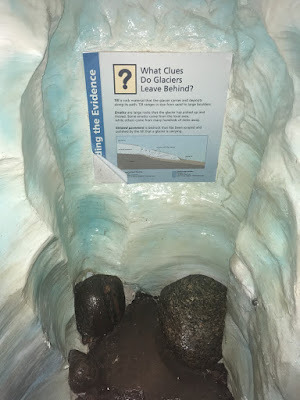 I took him ice skating and then to the science museum where I was able to walk him through the exhibit on glaciers. It was fantastic. The, C and and spent a peaceful and relaxing holiday at home. It was lovely. This mental break really allowed me to truly reflect and meditate on my year...and just how fortunate I've been. Hanging out with my Nephew...doing what we do best. Looking back at 2018, I am also humbled at how my personal and professional life is progressing. 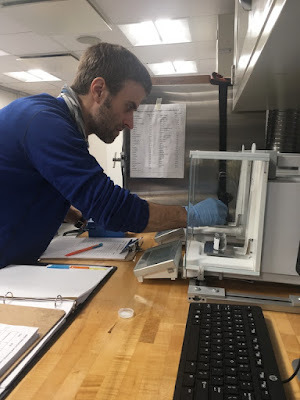 I had two lead-author new scientific manuscripts get published, and began getting more involved as a senior scientist on various projects. I’ve been working more with students, writing more proposals, and getting involved in a lot more interesting research. Which leads me full circle back to where I am right at this moment amidst my 8th Antarctic deployment…. 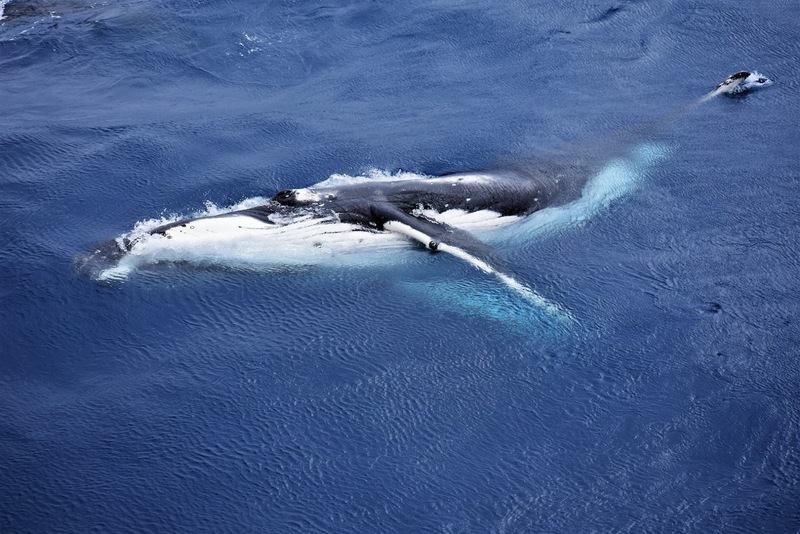 I wrote a proposal almost a year ago to participate in a deep sea drilling expedition. 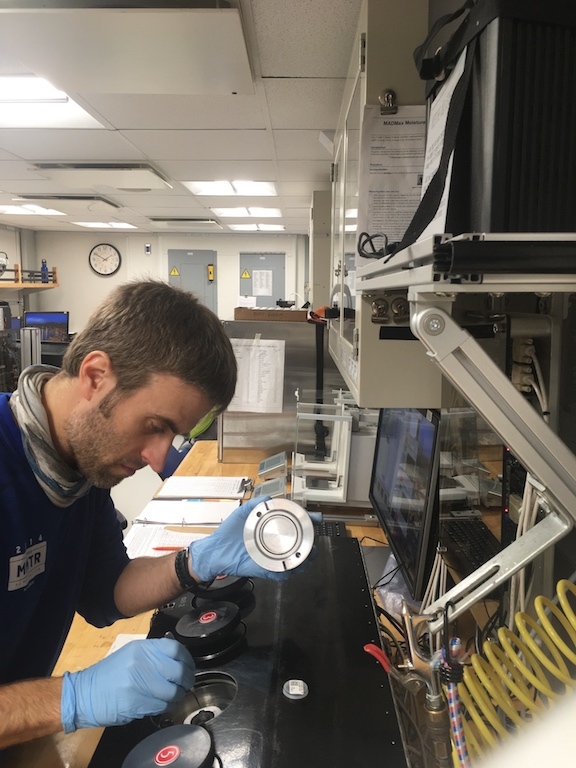 Similar to my ice-coring, this type of expedition involves recovering cores for the purpose of using proxies to reconstruct conditions in the past. 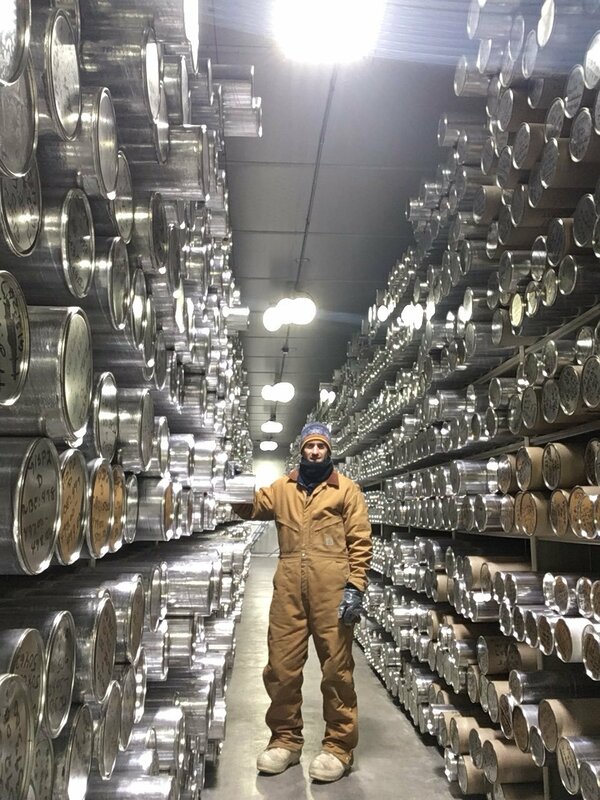 In this case though, the cores are sediment cores from the seafloor. 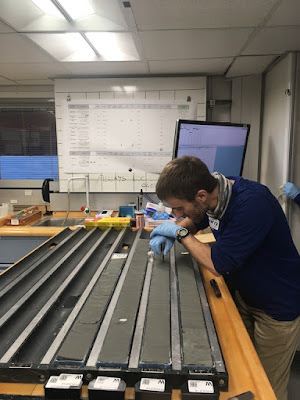 Normally, I probably wouldn’t have applied to something like this, but this particular expedition is focused on the seafloor off of the coast of West Antarctica…an area that I’m very interested in. I wrote a proposal to investigate the recovered sediments in order to better inform us about ice sheet history. I post this text now, from the actual ship as we sit off shore of Antarctica, drilling millions of years into the past. 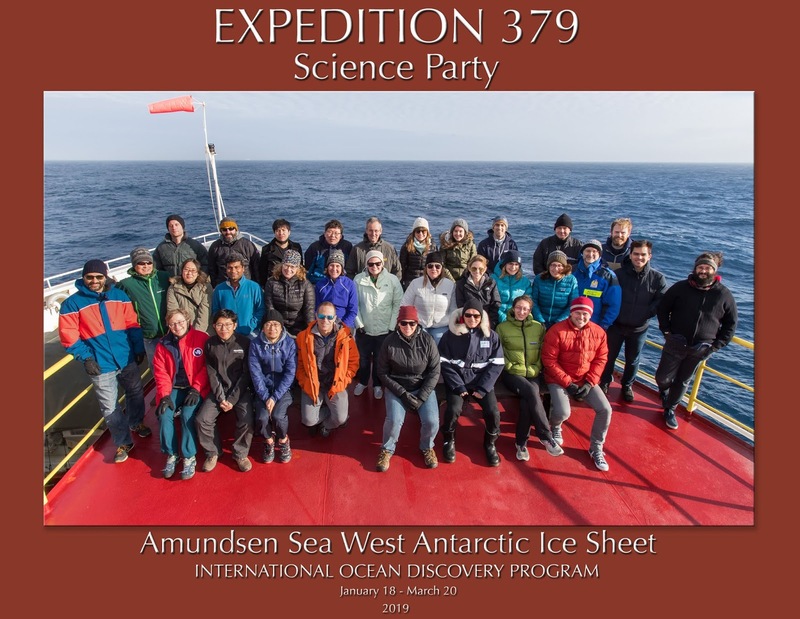 The expedition has over 30 science members, representing over 15 countries. I’ve never worked so closely with such an international team. I’ve learned so much over the past 6 weeks, and am so honored to able to work alongside such incredible scientists. This particular community is vibrant, and eager to do great science. I only hope that I’ve done well in their eyes, and that maybe one day, I’ll be invited back. 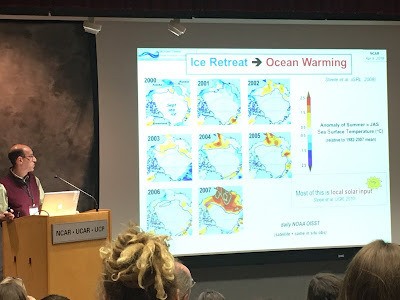 Over the next couple of years, I will continue to work on the data I acquire from this expedition, and will collaborate with many on board to publish as much research as we can. I am hopeful that by being here, I have helped to build relationships and collaborations that I will carry with me through my career. As I write this post, we have 10 days of drilling left, and then will start the transit back to South America. I would love to spend a few days hiking in Torres del Paines park in Patagonia (Chile), but I think I may save that for another time with C. I am looking forward to getting home. 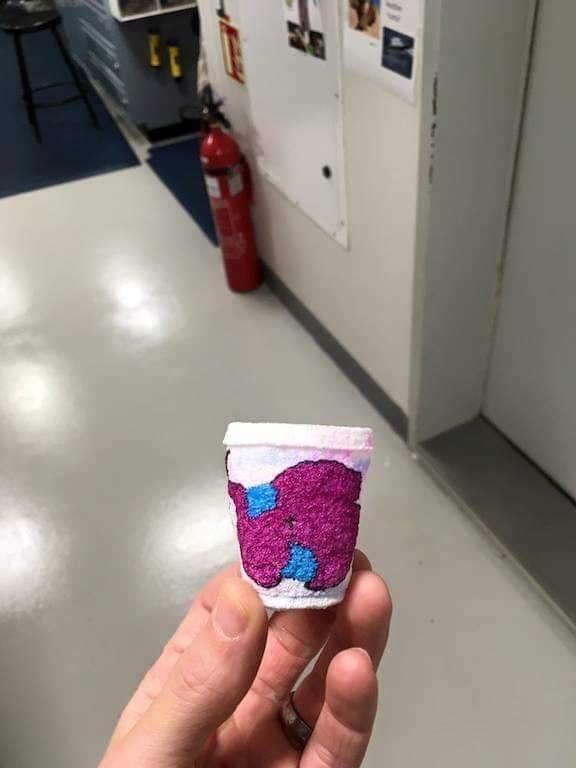 Tradition on the ship is to decorate a styrofoam cup. 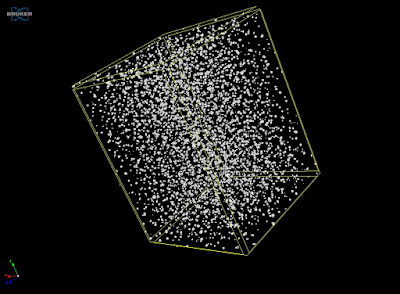 The crew then sends all the cups to the seafloor where they get squished. When they return, they stay squished. …and with that…I finally say goodbye to 2018, and hello to 2019. I am eager to see what else this year has to offer. I have a really good hunch that some big things may be coming this year….